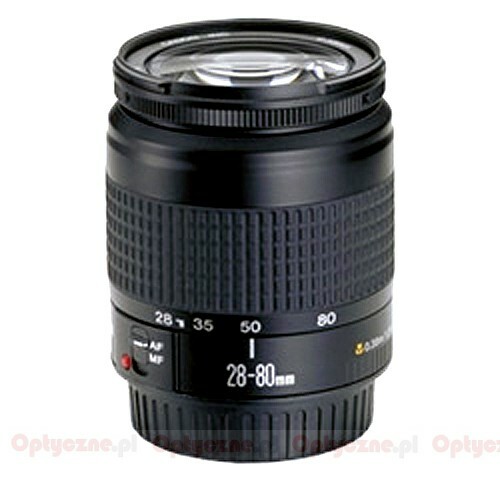 Pros: EF28-80mm f/3.5-5.6 USM version 1 with USM Wrong picture.This should be the lens with the Metal Mount and the Distance Scale. 330 g en solid build. Cons: Built quality is plastic. Plastic Mount. Not the best focal range for cropped frame DSLR. Apeture of f3.5-5.6 is both frustrating and poor in low light. Autofocus is noisy and manual focusing is rough. Pros: Good quality optics. Light and versatile. AWESOME value. Summary: Would not recommend. Old, and pointless. 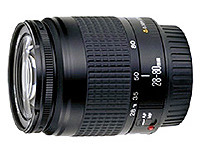 Back in the day though this was a solid enough lens for someone with a low end DSLR and on a very low budget.